The recently concluded SAP’s SAPPHIRE 2016 conference left me with an odd feeling. On the one hand, I really liked much of what I heard – machine learning, microservices, design thinking, and API catalogs. On the other hand, these are all topics that are well-known to SAP’s customers, even though they were presented as if they were brand new. In addition, SAPs competitors have been talking about these subjects for a long time and most already have products in the field. That left me thinking that SAP is moving in the right direction but just a little behind the curve set by their competitors and the market. To be honest, that’s not necessarily a problem. It’s not so much that SAP’s customers are overly conservative. 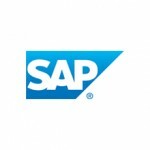 SAP’s software, however, runs the most important, mission critical, functions of many of the world’s largest companies. These companies need to have software that is rock solid, all the time. The bleeding edge is not for them. Viewing SAP’s announcements through this lens, it seems that they are following an old pattern of releasing software only when it’s completely thought through. A great example of this approach has been SAP Jam. SAP was not, by any means, the first company to release social collaboration or enterprise social network software. There were dozens of competitors who had developed or acquired solutions in this space long before what has become SAP Jam truly crystalized. SAP took the time to get this right, especially with introduction of work patterns. It’s why SAP Jam is a successful product with solid customer implementations. What gave me pause most was the way these new technologies were presented. Company executives acted as if these were new concepts, insinuating that SAP customers are unaware of what is going on in their industry. I doubt that. More likely, SAPs new product announcements were driven by the demands of customers for the kind of useful and important technology that many of their peers already had. I’m pretty sure that the emerging needs of their business had something to do with it as well. In some cases, SAP seemed compelled to talk about technology they don’t quite have yet. For example, there doesn’t appear to be much in the way of machine learning technology that is actually in the field or even in products. It was discussed quite often but always in the future tense. Something that was clear was that SAP is finally getting around to integrating the products of their recently acquired companies, such as FieldGass, their contingency workforce applications, and Successfactors’ human resources software. This was an obvious integration that creates tremendous value but, understandably, takes time to get right. The same is true of Successfactors and the Concur travel platform, and SAP Ariba’s procurement platform and S4/HANA ERP. This series of interlocking, mutually supportive but independently deployable applications allows customers to recognize the most leverage from SAP purchases. By integrating the operating units’ products, they create value for the customer that has been just waiting to be unlocked. In the opening keynote of SAPPHIRE 2016, SAP CEO Bill McDermott stressed empathy with customers. In that spirit, I’m trying to have empathy for SAP even though they seem to be trailing behind their competitors. I get the impression that SAP is willing to appear to lag behind the market if it allows them to deliver unbreakable and more relevant solutions to their customers. Hopefully, this is an example of good things coming to customers who wait.